It’s almost here! The New Year. That great, mysterious, intriguing, exciting Unknown. Perhaps you want your celebration of the coming year to be as sparkliciously exciting as your expectations. Good news! 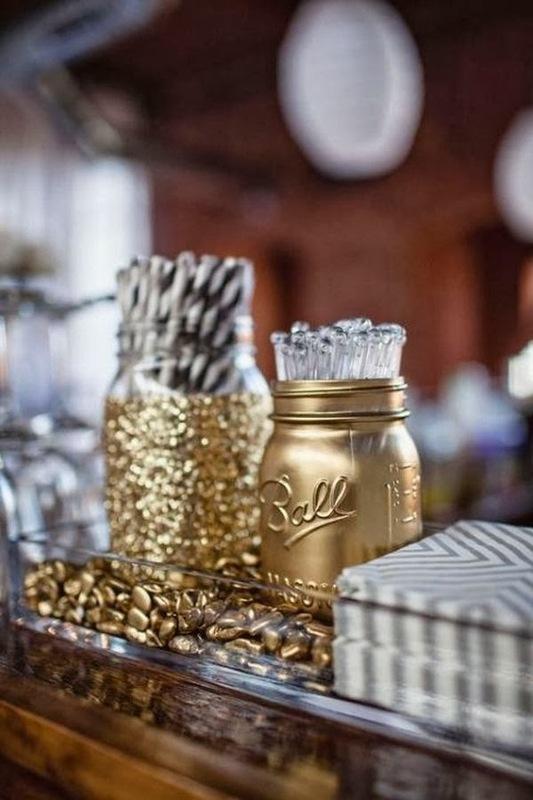 There are tons of ways to add sparkle and shine to a New Year’s Eve party. From very simple to rather complex, from tiny touches to overwhelming visuals, your shimmering décor this year could be the talk of the next. Whatever your goals, here are ten ways you can amp up the metallic touches of your party décor, if you’re interested.Happy New Year!